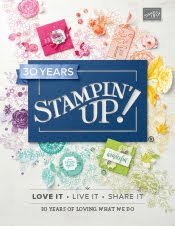 Just Julie B's Stampin' Space: Jessie's Big Day! Today is my daughter's 21st birthday! Where the time goes?? I won't see her until tomorrow but this is the card I made for her. It goes with the colors of the other things I've put together for her little celebration we're having tomorrow. 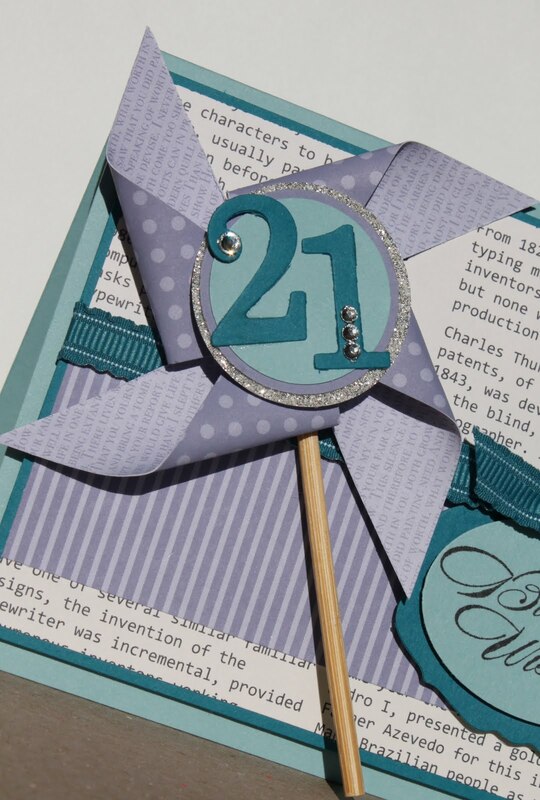 I had originally made this little pinwheel to use for a different thing, maybe a table decoration. And since I didn't end up using it for that, I decided to put it on the card. Kind of bulky for a card, but it's cute and fun. - And definitely not going in the mail! And I like how this saying makes the card front look like it's really saying "21" Birthday Wishes - You know, Kind of?